La minería de texto se basa en la extracción de nuevo conocimiento a partir de datos no estructurados en lenguaje natural. La aplicación de técnicas de minería de texto para el dominio de la medicina, en especial de la información de los registros electrónicos de salud de los pacientes de cuidados paliativos, es una de las áreas más recientes y prometedores de investigación para el análisis de datos textuales. Además podemos crear ontologías para describir la terminología y el conocimiento en un dominio dado. En una ontología se formaliza la conceptualización de un dominio que puede ser general o específico. En el trabajo proponemos un modelo para encontrar patrones de información relevante en los registros electrónicos de salud de los pacientes de las unidades de cuidados paliativos en Panamá, basados en la utilización de las fases de la minería de texto y el desarrollo de una ontología para descubrir conocimiento oculto. (1) S. M. Allameh and S. M. Zare, “Examining the impact of KM enablers on knowledge management processes”, Procedia Comput. Sci, vol. 3, pp. 1211–1223, 2011. (2) M. Terzieva, “Project Knowledge Management: How Organizations Learn from Experience”, Procedia Technol, vol. 16, pp. 1086–1095, 2014. (3) K. a. Dill, A. Lucas, J. Hockenmaier, L. Huang, D. Chiang, and A. K. Joshi, “Computational linguistics: A new tool for exploring biopolymer structures and statistical mechanics” Polymer (Guildf), vol. 48, no. 15, pp. 4289–4300, 2007. (4) N. Zhong, S. Member, Y. Li, and S. Wu, “Effective pattern discovery for text mining”, 2010. (5) H. Hashimi, A. Hafez, and H. Mathkour, “Selection criteria for text mining approaches”, Comput. Human Behav, vol. 51, pp. 729– 733, 2015. (6) T. Suzuki, H. Yokoi, S. Fujita, and K. Takabayashi, “Automatic DPC code selection from electronic medical records: Text mining trial of discharge summary”, Methods Inf. Med, vol. 47, pp. 541– 548, 2008. (7) Y. H. Tseng, C. J. Lin, and Y. I. Lin, “Text mining techniques for patent analysis” Information Processing & Management. vol. 43, no. September, pp. 1216–1247, 2007. (8) S. Ananiadou, D. B. Kell, and J. Tsujii, “Text mining and its potential applications in systems biology.” Trends Biotechnol. vol. 24, no. 12, pp. 571–579, 2006. (9) S. Ananiadou and J. McNaught, “Text Mining for Biology and Biomedicine” Comput. Linguist. vol. 33, pp. 135–140, 2006. (10) G. Akçapinar, “How automated feedback through text mining changes plagiaristic behavior in online assignments” Comput. Educ., vol. 87, pp. 123–130, 2015. (11) Q. Mei and C. Zhai, “Discovering evolutionary theme patterns from text: an exploration of temporal text mining” Proc. Elev. ACM SIGKDD Int. Conf. Knowl. Discov. data Min, pp. 198–207, 2005. (12) H.-C. Yang, C.-H. Lee, and H.-W. Hsiao, “Incorporating SelfOrganizing Map with Text Mining Techniques for Text Hierarchy Generation” Appl. Soft Comput, vol. 34, pp. 251–259, 2015. (13) J. I. Guerrero, C. León, I. Monedero, F. Biscarri, and J. Biscarri, “Improving Knowledge-Based Systems with statistical techniques, text mining, and neural networks for non-technical loss detection” Knowledge-Based Syst, vol. 71, pp. 376–388, 2014. (14) H. Mahgoub, H. Mahgoub, N. Ismail, N. Ismail, F. Torkey, and F. Torkey, “A Text Mining Technique Using Association Rules Extraction” World Health, pp. 21–28, 2008. (15) H. (National U. of S. Liu, H. (Osaka U. Motoda, R. Setiono, and Z. Zhao, “Feature Selection an ever evolving frontier in Data Mining” J. Mach. Learn. Res. Work. Conf. Proc. 10 Fourth Work. Featur. Sel. Data Min., pp. 4–13, 2010. (16) M. Reinberger and P. Spyns, “Unsupervised text mining for the learning of dogma-inspired ontologies” Ontol. Learn. from Text Methods, Appl. Eval, no. September, pp. 29–43, 2005. (17) M. Krallinger, R. a a Erhardt, and A. Valencia, “Text-mining approaches in molecular biology and biomedicine” Drug Discov. Today, vol. 10, no. 6, pp. 439–445, 2005. (18) T. Baldwin, P. Cook, B. Han, A. Harwood, S. Karunasekera, and M. Moshtaghi, A Support Platform for Event Detection using Social Intelligence. 2012. (19) Y. Yang, L. Akers, T. Klose, and C. Barcelon Yang, “Text mining and visualization tools - Impressions of emerging capabilities” World Pat. Inf., vol. 30, no. September 2015, pp. 280– 293, 2008. (20) A. Stavrianou, P. Andritsos, and N. Nicoloyannis, “Overview and semantic issues of text mining” ACM SIGMOD Rec., vol. 36, no. 3, p. 23, 2007. (21) D. J. Berndt, J. a. McCart, D. K. Finch, and S. L. Luther, “A Case Study of Data Quality in Text Mining Clinical Progress Notes” ACM Trans. Manag. Inf. Syst., vol. 6, no. FEBRUARY, pp. 1–21, 2015. (22) P. Lependu, S. V Iyer, C. Fairon, and N. H. Shah, “Annotation Analysis for Testing Drug Safety Signals using Unstructured Clinical Notes”, J. Biomed. Semantics, vol. 3 Suppl 1, no. Suppl 1, p. S5, 2012. (23) S. L. West, W. Johnson, W. Visscher, M. Kluckman, Y. Qin, and A. Larsen, “The challenges of linking health insurer claims with electronic medical records”, Health Informatics J., vol. 20, pp. 22– 34, 2014. 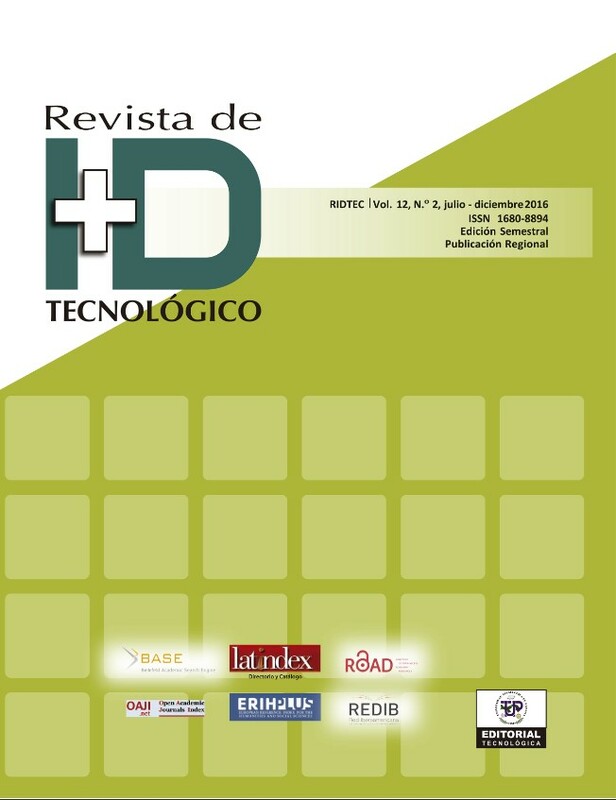 (24) R. Cohen, M. Elhadad, and N. Elhadad, “Redundancy in electronic health record corpora: analysis, impact on text mining performance and mitigation strategies”, BMC Bioinformatics, vol. 14, p. 10, 2013. (25) S. Tanuja, D. Acharya, and K. R. Shailesh, “Comparison of different data mining techniques to predict hospital length of stay” J. Pharm. Biomed. Sci., vol. 07, no. 07, 2011. (26) N. Ramakrishnan, D. Hanauer, B. Keller, and B. Ramakrishnan, N., Hanauer, D., & Keller, “Mining electronic health records” Computer (Long. Beach. Calif). vol. 43, no. October, pp. 77–81, 2010. (27) M. Kvist, M. Skeppstedt, S. Velupillai, and H. Dalianis, “Modeling human comprehension of Swedish medical records for intelligent access and summarization systems - Future vision, a physician perspective” 9th Scand. Conf. Heal. Informatics, 2011. (28) I. Fatima, M. Fahim, D. Guan, Y.-K. Lee, and S. Lee, “Socially interactive CDSS for u-life care” Proc. 5th Int. Confernece ubiquitous Inf. Manag. Commun., no. September 2015, pp. 1–8, 2011. (29) R. Harpaz, A. Callahan, S. Tamang, Y. Low, D. Odgers, S. Finlayson, K. Jung, P.LePendu, and N. H. Shah, “Text Mining for Adverse Drug Events: the Promise, Challenges, and State of the Art” Drug Saf., no. September 2015, 2014. (30) Holzinger, R. Geierhofer, F. Mödritscher, and R. Tatzl, “Semantic Information in Medical Information Systems: Utilization of Text Mining Techniques to Analyze Medical Diagnoses” J. Univers. Comput. Sci., vol. 14, no. 22, pp. 3781–3795, 2008. M. Andrade-Navarro and C. Perez-Iratxeta, “Text mining of biomedical literature: Doing well, but we could be doing better” Methods, vol. 74, pp. 1–2, 2015. (32) R. a A. Seoud and M. S. Mabrouk, “TMT-HCC: A tool for text mining the biomedical literature for hepatocellular carcinoma (HCC) biomarkers identification” Comput. Methods Programs Biomed. vol. 112, no. 3, pp. 640–648, 2013. (33) I. Spasic, J. Livsey, J. a Keane, and G. Nenadic, “Text mining of cancer-related information: Review of current status and future directions” Int. J. Med. Inform., vol. 83, pp. 605–623, 2014. (34) B. Xie, Q. Ding, H. Han, and D. Wu, “MiRCancer: A microRNA-cancer association database constructed by text mining on literature” Bioinformatics, vol. 29, pp. 638–644, 2013. (35) Y.-C. Fang, H.-C. Huang, and H.-F. Juan, “MeInfoText: associated genemethylation and cancer information from text mining” BMC Bioinformatics, vol. 9, p. 22, 2008. (36) Who, “World Health Statistics 2009” p. 149, 2009. (37) A. Korhonen, I. Silins, L. Sun, and U. Stenius, “The first step in the development of Text Mining technology for Cancer Risk Assessment: identifying and organizing scientific evidence in risk assessment literature.” BMC Bioinformatics, vol. 10, p. 303, 2009. (38) R. Jelier, M. J. Schuemie, A. Veldhoven, L. C. J. Dorssers, G. Jenster, and J. a Kors, “Anni 2.0: a multipurpose text-mining tool for the life sciences” Genome Biol., vol. 9, no. 6, p. R96, 2008. (39) H. C. Beck, Mass spectrometry in epigenetic research, vol. 593. 2010. (40) H. Chen, R. H. L. Chiang, and V. C. Storey, “Business Intelligence and Analytics: From Big Data to Big Impact” Mis Q., vol. 36, no. 4, pp. 1165–1188, 2012. (41) D. Chiang, “Hierarchical Phrase-Based Translation” no. May 2006, 2007. (42) W. W. M. Fleuren and W. Alkema, “Application of text mining in the biomedical domain” Methods, vol. 74, pp. 97–106, 2015. (43) N. B. Ngwenya and S. Mills, “The use of weblogs within palliative care: A systematic literature review” Health Informatics J., vol. 20, pp. 13–21, 2014. (44) W. Der Yu and J. Y. Hsu, “Content-based text mining technique for retrieval of CAD documents” Autom. Constr., vol. 31, pp. 65–74, 2013. (45) A. Jimeno Yepes and R. Berlanga, “Knowledge based wordconcept model estimation and refinement for biomedical text mining” J. Biomed. Inform. vol. 53, pp. 300–307, 2014. (46) A. Hotho, A. Nürnberger, and G. Paaß, “A Brief Survey of Text Mining” LDV Forum - Gld. J. Comput. Linguist. Lang. Technol, vol. 20, pp. 19–62, 2005. V. C. Pande and A. S. Khandelwal, “A Survey Of Different Text Mining Techniques,” IBMRD’s J. Manag. Res., vol. 3, no. 1, pp. 125–133, 2014.